Create a beautiful yard you will love and let Water Solutions Company assist you with your Denver Landscaping needs. When you choose a professional landscaping company, you choose them for just that: their professional work and experience. Water Solutions Company has highly qualified landscapers to boil down all the beauty Denver has to offer and make your space unique and charming, using the best plants to work with Denver’s climate and your personal needs and wishes. Taking care of your landscape— Different plants need different levels of care, and we understand how to instruct you to keep all aspects of your landscaping thriving in the Denver climate. We will keep in mind your level of knowledge and how much time you have to devote to your landscape so that we do not leave you with a landscape that is difficult to maintain. Room for changing flowers and features in your yard— We know that creating a landscape is not an overnight process. We will help you create a beautiful yard, but throughout the years, you may want to change the types of flowers in your yard or even add larger features such as gazebos and ponds. We keep that in mind as we help you, pointing out what your options are for the future and being there to help you implement these features later on. Attracting wildlife– Of course, a beautiful landscape isn’t just about looking nice. We help you determine which types of plants will attract different types of birds and wildlife to your yard and then help you determine which types of plants to include based on whether or not you want little visitors. We know that you have a choice in choosing which company to help you with your landscaping designs, but we are confident that our service is hard to beat. We make sure our highly qualified and talented landscapers are up to date on all the landscaping trends and have access to the best plants, supplies, and equipment to make your landscape the best it can possibly be. We look at the big picture to consider every feature in your yard, working with what we know about Denver and about your future needs when it comes to maintaining your yard far into the future. We are always on hand to answer any questions you may have because we know that creating a beautiful landscape is more than just a one-time effort. 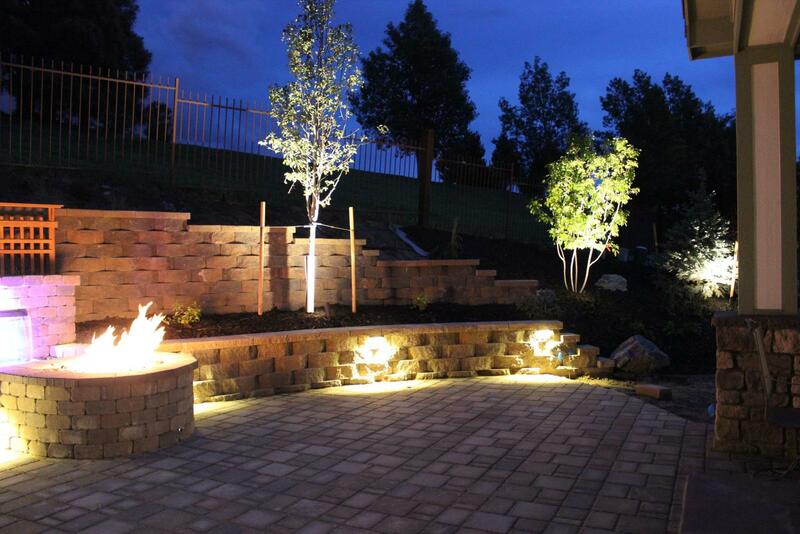 Call us today for award-winning Denver landscaping services! We can help provide an estimate for the landscape design of you dreams.